Why Do Most Winter Car Crashes Happen? You are here: Home / Car Accident / Why Do Most Winter Car Crashes Happen? The Federal Highway Administration (FHA) analyzed average auto accident data available from the period between 2002 and 2012. Here are some key findings. Most pavements remain soggy during the winter season. A total of 959,760, or around 17 percent, of all auto accidents were caused by wet pavement. 4 out of 100 auto accidents were caused by snow and hail. Icy pavement accounted for around 3 out of 100 auto accidents. 3 out of 100 auto accidents were caused by slippery, snowy pavement. Fog accounted for 1 out of 100 auto accidents. 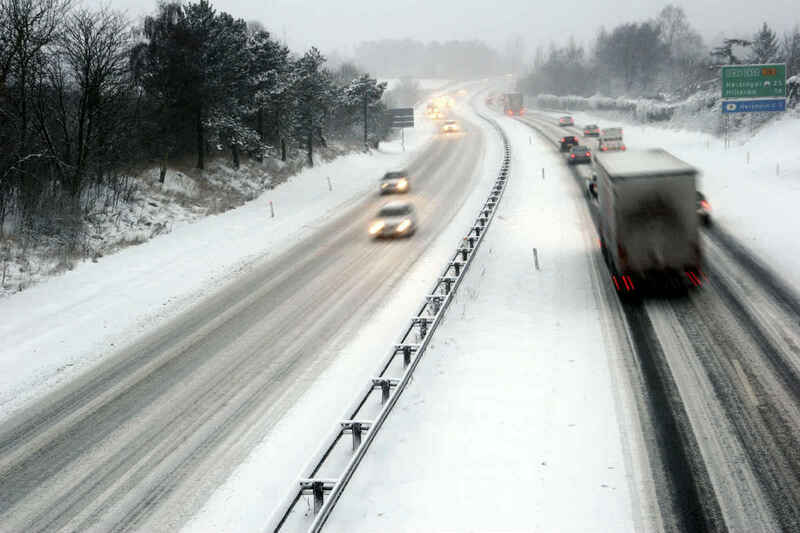 Bad weather conditions accounted for a total of 1,311,970 auto accidents. Statistics reveal that bad weather conditions cause around 23 out of 100 auto accidents in the United States every year. While planning for a long drive, look at the weather report. If there is any forecast for heavy snowfall or hailstorms, consider revising your road trip, especially if you are planning to visit an isolated area. There may not be available help when visiting an isolated area. Many roads remain wet and slippery during the winter. As a result, it is difficult to bring a vehicle to a sudden stop. Drive slowly when road conditions are wet. Do not follow the vehicle in front too closely. Keep a safe distance from the car in front; the distance should be long enough to bring your car to a stop in around nine seconds. If you get injured by a negligent driver, you may be entitled to financial compensation. Consider talking to a St. Louis car accident lawyer to know your legal rights. Call The Hoffmann Law Firm, L.L.C. at (314) 361-4242.